Volunteer! While you and your family are enjoying your holiday meals, just think about others who don’t have the same luxury. Dedicate some time to help those in need. Invite family and friends to spread goodwill. Host a food pantry drive. Ask your friends, family and holiday visitors to bring at least one food item when they come to your house. Donate winter clothing and blankets. If you’ve got extra blankets or winter coats, don’t let them pile up in the closet. 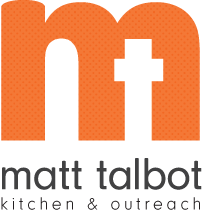 SouthPointe Pavilions is hosting a coat drive for Matt Talbot, or bring your donations directly to our facility at 2121 North 27th Street, Monday-Friday between 8:30 am - 6:30 pm. If you have time, we'd love to give you a tour! Make a cash donation. Holiday and year-end giving keeps our doors open 365 days a year!